The mediaeval archaeological site of the Mali Tabor castle/palace is situated on the westernmost slopes of Mount Kostelska gora (334 m) in the Hum na Sutli Municipality, Krapina-Zagorje County. On the junction of roads leading to Lastine and Brezno, north of the St. Peter’s parish church in Prišlin, a village of the same name occupies a position above the wide valley of the Sutla river. The position of St. Peter’s church rises on the highest point of the hillfort (365 m), whose central plateau accommodated also a mediaeval cemetery. The extensive plateau of an isolated hill, as documented on old topographic maps on the position marked “Next to the old cemetery”, is dominated by the magnificent mediaeval castle/palace of Mali Tabor. The former castle and later palace was built on a narrow elongated plateau of the hill, on an important strategic point and communication providing visual contact with nearby major mediaeval castles – fortified towns of Cesargrad, Veliki Tabor, Vrbovec and Kostel. Historical sources from the Archives of the Rattkay family contain no information pointing to the time when Mali Tabor was built. 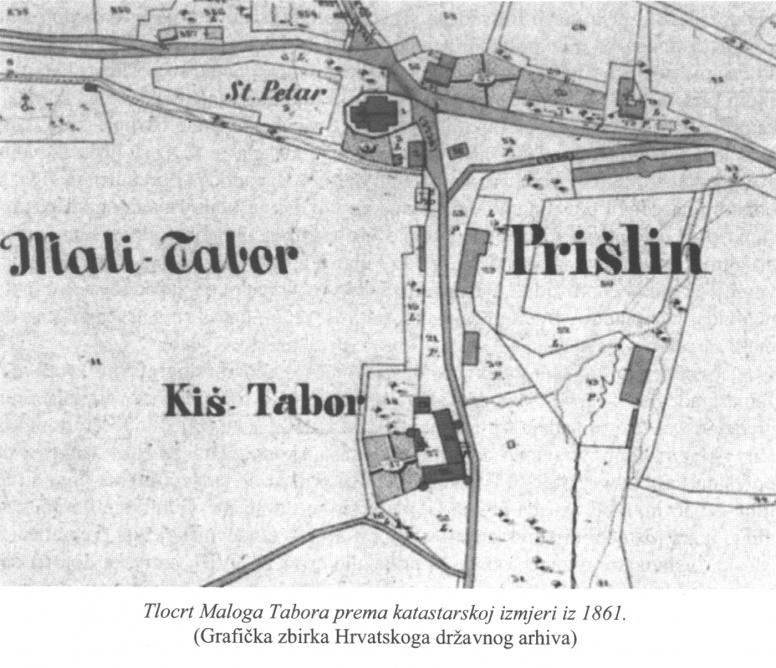 The author of the document from 1511 mentions two forts by name and size and function, using the term castrum, that is, feudal town for Veliki Tabor, and castellum (castle, small fort) for Mali Tabor. From the second half of the 13th century the nearby feudal town of Vrbovec had been the seat of the Vrbovec or Veliki Tabor estate, upon whose collapse in the mid-15th century the Mali Tabor castle took over this role. Between 1490 and 1504 it was owned by the viceroy of Croatia-Hungary John Corvinus. Following the death of Beatrice Frankapan-Corvinus in 1510, the wife of George of Brandenburg from the House of Hohenzollern, the castellum Kys Thabor was mentioned for the first time in 1511. 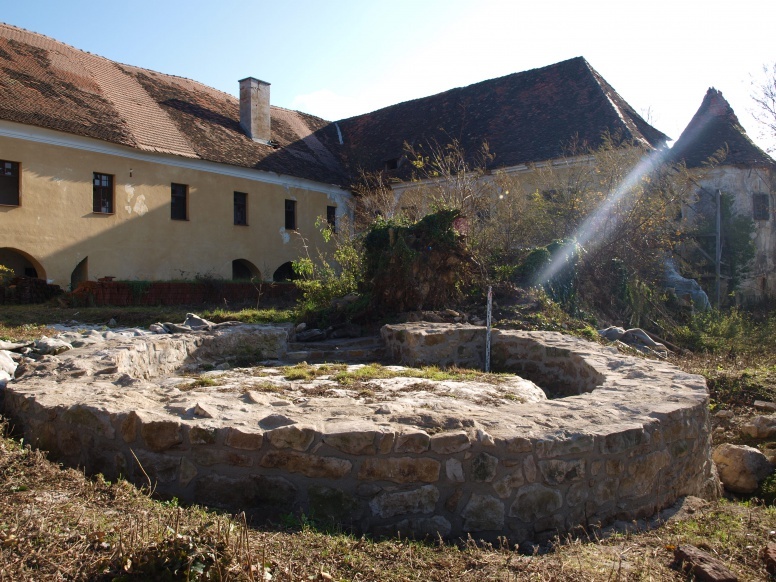 For almost three centuries it was owned by the powerful Hungarian family of Rattkay (1524-1793). In 1972, Ivan Rattkay left the Mali Tabor castle to his nephew, the baron Joseph Wintershoffen, in whose possession it remained until 1818, when it was inherited by Rikard Jelačić from the Zaprešić branch. They owned it until 1876, and from then it was owned by the Irish baron Henry Cavanagh. The archaeological investigations in the Mali Tabor castle defined the construction of the western fortification wall of the castle, preserved in the height of 50 cm to 2.15 m. In the exterior to the west the wall has a series (three-four) of strong buttresses, now in ruins. The construction of the western perimeter wall of the castle in the interior of the courtyard pointed to the type of construction of semi-dressed stone blocks of various sizes, laid sloppily in courses and bound with mortar. Two window openings are visible in the wall, measuring 80 x 90 cm, with an arched lintel made of narrow stone blocks 26 cm high, laid radially from the heel of the arch towards the keystone. The wall structure in places contains inserted brick, whose use does not show any regular vertical or horizontal courses along the 21 m of the length of the wall. This type of construction of fortification walls is known from the examples of Renaissance castles in Cernik, Gvozdansko and Čazma. This western wall, probably the original defence wall of the Mali Tabor castle, is the only preserved wall, which by virtue of its technique of construction belongs to the group of the already known castles in north-western Croatia. The foundation of the western perimeter wall extended in the same type of construction into the semicircular wall outlining the walls of the fourth tower (the north-western tower of the castle). The tower is preserved in the ground plan, with walls rising slightly above the level of the entrance threshold, which is completely preserved. The dimensions of the tower are similar to those of the three preserved towers with the entrance from the courtyard. Then follows a wall of the same structure as the western defence walls, which was connected with the north-eastern tower. The northern wall was built of semi-dressed stone blocks with heavy lime mortar and the occasional addition of brick. By its typological features it is similar to the method of construction of the north-western tower of the castle. The Renaissance wall extends in the length of 15.60 m to the retaining wall between the sixth and seventh arches of the new eastern wall of the castle, modernized in the Baroque. 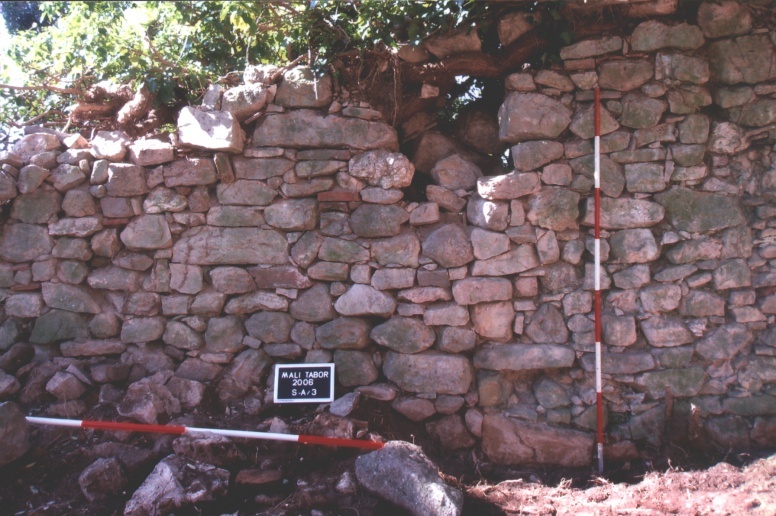 The excavations showed that this was a northern defence wall that connected the north-western and north-eastern towers of the Renaissance castle, that is, the former defence system of the Mali Tabor castle from its earliest period of construction. Mali Tabor is the most prominent example of construction of a Renaissance castle in the Hrvatsko Zagorje region, exhibiting two basic phases of development. In the earliest phase of construction the castle had the shape of a rectangular building with defence walls and four semi-towers (of which, the western and northern defence walls are preserved), as can be seen on the 1861 ground plan. The entrance was probably located in the northern defence wall of the fortification. In the second phase of construction the castle was transformed into a one-storied Baroque palace, remaining in this function until the 19th century, when a one-storied annex was built in the eastern wing of the castle on the northern side. At the same time a small rectangular building was annexed on the north, used for various economy-related purposes. This was also the time when the northern defence wall of the castle was torn down, while the space between the rectangular annex and the annex of the eastern wing of the castle acquired a new entrance portal, which has been preserved to this day. The importance of the castle and palace of Mali Tabor lies in the fact that it represents a monument bearing features of a Renaissance castle and a Baroque palace. By virtue of its cultural features it belongs to the rare examples of mediaeval secular architecture in continental Croatia.